The Dunlap Family’s contributions to astronomy at U of T span generations. It started out as a dream. U of T Professor Clarence Chant, known as the father of Canadian astronomy, had a vision for a telescope to be built on the outskirts of Toronto—one that would create opportunities for Canadian astronomers to survey the universe and make fantastic discoveries. At a public lecture at Convocation Hall in 1921, Chant met David Alexander Dunlap, a lawyer from Mattawa, Ontario who had amassed his fortune in mining. 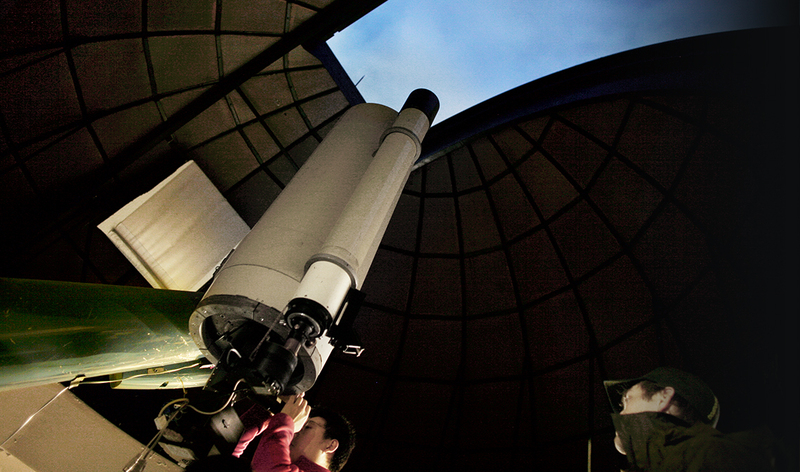 An astronomy enthusiast, Dunlap was so taken with the lecture that he decided to fund Chant’s observatory. After Dunlap passed away five years later, his widow, Jessie Donalda Dunlap, followed through on his promise with a gift to buy a large plot of land in Richmond Hill and build the world’s second-largest telescope—the largest in the Commonwealth. The David Dunlap Observatory opened in 1935, and U of T astronomers went on to use it to map the structure of the Milky Way, confirm the existence of the first known black hole, and do groundbreaking research in understanding the rate at which the universe expands. Over time, however, the practical conditions for astronomy changed. Modern aviation made it feasible to build telescopes in remote areas where there is less light and viewing the universe from earth is much easier. As light from the growing city around the telescope increased, it made the Dunlap Observatory less useful for serious scientific observation. In response to this reality, in 2008, David Dunlap’s grandchildren, David M. Dunlap III (BASc 1961, Hon LLD 2011) and J. Moffat Dunlap (Hon LLD 2011), sold the observatory land and used the proceeds to fund an endowment to establish the Dunlap Institute for Astronomy & Astrophysics at U of T. The new institute focused on designing and building astronomical instruments, training the next generation of astronomers, and public education. Ten years later, thanks to the endowment, U of T stands at the forefront of astronomy and astrophysics, with particular strengths in radio astronomy and the study of pulsars and magnetism. Dunlap Institute scientists are involved in the world’s top astronomy projects, among them the remarkably innovative Dragonfly telescope, built from commercially available Canon telephoto lenses, the CHIME radio telescope in Penticton, B.C., and the Gemini Observatory in Hawaii and Chile. A chance meeting between a scientist and a philanthropist was just the first step. Nearly 90 years later, the vision of today’s generation of Dunlaps enabled U of T to extend its reach even further out into the universe.